An international study involving more than 50,000 people has led to the discovery of novel regions of the human genome associated with vital capacity, an indirect measure of lung volume. Study subjects spanned multiple ethnicities including Caucasian, African-American, Hispanic and Asian, making the findings broadly relevant to the general population. The results were published June 17 in Nature Genetics. 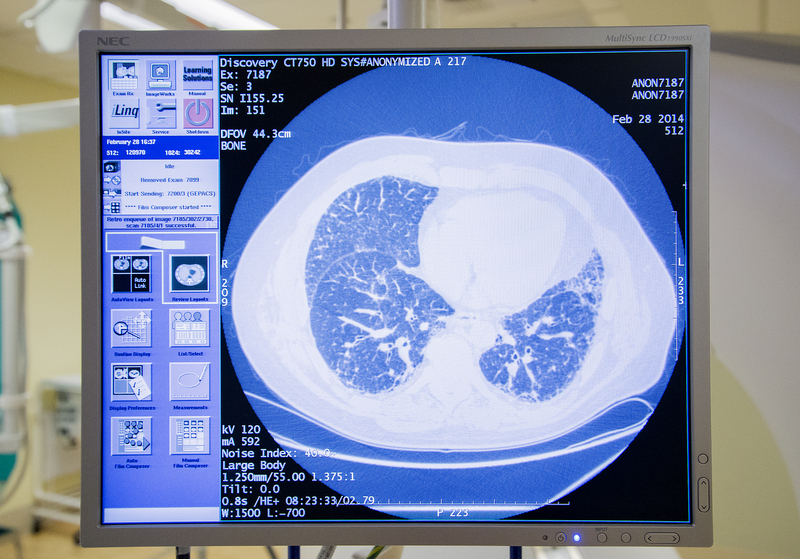 Several University of Washington researchers participated in this project, including co-lead author, Dr. Sina Gharib, associate professor of medicine in the division of pulmonary and critical care, and Drs. Susan Heckbert, professor of epidemiology, and Bruce Psaty, professor of medicine. “Measurement of force vital capacity is routinely used in clinical practice to assess the functional status of patients with lung disorders. Change in vital capacity over time is a key indicator of progression in many lung diseases such as in idiopathic pulmonary fibrosis,” said Dr. Ganesh Raghu, UW professor of medicine and the director of UW Medicine’s Center for Interstitial Lung Disease. He was not involved in this study. The UW investigators believe that understanding the genetic determinants of lung volume may eventually lead to improved treatments for diseases such as pulmonary fibrosis and chronic obstructive pulmonary disease, both of which currently have limited effective therapeutic options. Read the full article here.